New Zealand proved their determination towards achieving the goal in the second Test against Australia by winning a thrilling encounter by just seven runs besides a sterling maiden ton by David Warner. The Black Caps could manage 150 runs in their first innings but sent the Kangaroos reeling at 136 runs. The visitors showed better performance by posting 226 in the second innings and set a target of 241 runs for the victory for the home side which was bowled out on 233 runs. The final match of the series was staged at Bellerive Oval, Hobart, from December 9, 2011, and came to its destiny one day before the schedule. Warner was awarded with ‘Player of the match” honour for his solo fighting ton in the second innings. Australia was in a strong position at the beginning of the fourth day and the match looked in their pocket. They had scored 72 runs in 19 overs at stumps on the third day, warner and Phillip Hughes were unbeaten on 47 and 20 runs respectively. The last session after tea was lost due to rain which affected the continuity for the batsmen. The Aussie has the target of 169 runs to win the match with their entire second innings wicket in hand. The Kiwi’s got an early breakthrough in the second over of the match when Hughes was caught at second slip by Martin Guptil off Chris Martin witout any addition to the overnight score. Usman Khawaja replaced him, steadied the innings and enhanced the score to 122 runs. Khawaja was dismissed at 23 runs after Ross Taylor held his brilliant catch in the first slip off Trent Boult. The poor run of form continued with Ricky Ponting when the young gun Doug Bracewell got his first victim of the day. The third wicket was lost at 159 runs when Bracewell got couple of most important wickets of Australia. Their Captain Michael Clarke went without opening his account on the fifth ball of the 48th over and Michael Hussey followed him on the very next ball when New Zealand referred for a review. The bells started ringing in the Kangaroos dressing room and the Kiwi’s started smelling a victory. 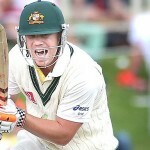 Warner was holding one end at 84 when the fifth wicket was gone when Brad Haddin joined in with him. Warner continued with his aggression and achieved a milestone in his Test career by getting a couple on the second ball of the 52nd over. 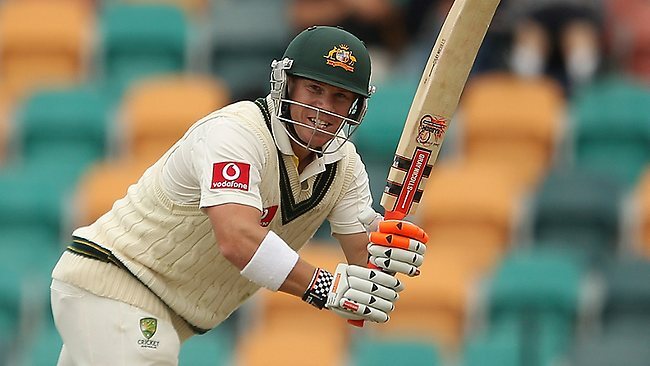 The duo added 33 runs for the sixth wicket as Haddin went back to the pavilion at his individual score of 15 runs. Warner was stranded at one end and kept on watching the destruction of the home side. The New Zealanders had their tails up when they removed the ninth batsman at 199 runs. They were just one good ball away from the victory when the last batsman Nathan Lyon appeared in the center under tense situation. Warner took over from there with vital support from Lyon and crept towards the target. Bracewell delivered the much awaited ball which went through the gates of Lyon and uprooted his stumps. Doug Bracewell was the feather in the Crown for the Black Cap’s victory by grabbing six wickets, Tim Southee secured two as Martin and Boult shared one wicket each. The whole New Zealand team was provoked by seven runs victory as the entire Australian camp and spectators were stunned. The much awaited victory came after their triumph against Australia by five wickets on March 16, 1993, at Eden Park Auckland, under the leadership of Martin Crowe.